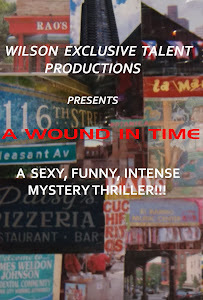 Can't wait to film one of the the bar scenes in "A Wound In Time". I'm gonna have everyone I know sitting at the bar as the camera dollies down the bar catching everyone's face on camera! I see the shot so vividly... Gonna be so cool!